An 11-year-old Indian child fights for life! 11-year-old Arnav Varkula knows that he does not have long to live. Doctors have given up. Now he is at his home with his father. And the waiting is more painful than anybody can imagine. Arnav lost his mother to cancer in 2015. Mrs. Sushma Gulur Srinivas Rao died on 16 April 2015. And two years later, in the first week of May 2017 to be precise, he felt a pain in his knee. After a month of tests, his father Jeevan Varkala's worst fears were confirmed. Young Arnav had developed cancer, and it was spreading fast. "A PET scan plus MRI showed that Arnav had a “rare, aggressive form of cancer called osteosarcoma”. He had a few nodules in his lungs that looked benign. The doctors wished to confirm through a lung biopsy that it was benign and the pathology results for the lung specimen showed it was benign. During this surgery Arnav also had a double lumen port inserted to start chemotherapy," says Kunwar Amit Singh Jadaun, who is helping the family on behalf of Forum of Indian Australians. Arnav Varkula with his family. On 5th January 2018, doctors told Jeevan that a tumour is spreading aggressively and they tried some things. "But with no immediate solution in sight, Arnav then went to India in Jan 2018 with his father to try alternative medicine and meet his extended family and came back three weeks later," says Jadaun. Arnav celebrated his 11th birthday on 1st of March and the next day he was taken to hospital for possible above the knee amputation, and the wound had started leaking. A chest X-ray showed that a tumour in the lung has grown a lot and that there is fluid in the lungs. The doctor then decided against amputation as there was no point. Hence, Arnav has been given about two weeks to a month to live. "Arnav knows. Sometimes he looks prepared. But at times he is very disturbed. He does not want to meet anyone. It is harrowing to think what this little boy is going through," says Jadaun who has started a fundraising campaign to help the family. He explains, "Jeevan has nearly been out of work for the last eight months. He is trying to ensure the best possible care and support for his son. He has borrowed money from his family to help him through this struggle. He needs our support during the tough times,"
The community has come forward to support the family. FIA has raised over $30,000 already. 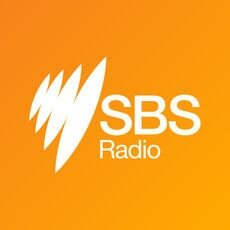 Follow SBS Hindi on FACEBOOK. Supermodel Rachel Hunter missed her flight from India to Australia and made the most of it. A farm worker of Indian descent died in a horrific accident in New Zealand.